Julian of Norwich was an English mystic and theologian. Revelations of Divine Love which she wrote around 1395 is the first known book written by a woman in the English language. Her work is generally thought to be one of the most remarkable documents of medieval religious experience. Julian was also a spiritual authority and advisor in her community. She has been venerated in the Anglican and Lutheran churches. Her writing presents clarity and depth of her perception, precision of theological presentation and philosophy, as well as beauty and sincerity of expression unparalleled at the time. Christine de Pizan was an Italian-French late medieval author who wrote The Book of the City of Ladies and The Treasure of the City of Ladies, which show the importance of women's contributions to society, and how women of all estates should cultivate useful qualities, respectively. Only female voices and opinions provide evidence within these texts. She was a court writer for several dukes and within the French royal court for Charles VI. She completed 41 works during her 30-year career from 1399 to 1429. Pizan sought out other women (only women) to collaborate with in the creation of her work. How cool is that? Margaret Lucas Cavendish was an English fiction-writer, philosopher, poet, scientist, and playwright during the 17th century. She bravely published under her own name at a time when most women writers published anonymously because of fear of not being taken seriously and ridicule. (She was not taken seriously and ridiculed if you're wondering). Cavendish’s writing addressed gender, manners, philosophy, and power. Her plays challenge and upset gender norms. The Blazing World, her utopian romance, is considered to be one of the earliest examples of science fiction After her death she wasn’t taken seriously for a long time because of her eccentric and outlandish style , and it was only after Virginia Woolf wrote The Common Reader in 1925 that Cavendish was rediscovered and analyzed from a modern feminist perspective. Anne Bradstreet was the most prominent of early English/North American poets and first writer in England’s North American colonies to be published. She is also the first Puritan figure in American Literature. Anne Bradstreet's education available to her because of her wealthy family status gave her advantages that allowed her to write with authority about theology, politics, and history. Women’s roles in society are a common subject in Bradstreet’s poetry: she did not approve of the idea that women were inferior to men in her Puritan society and sought to prove that women had more to offer than their roles of mothers, wives, and maids. Mary Wollstonecraft was an English writer, philosopher, and a spirited advocate of women’s rights. She is best known for A Vindication of the Rights of Woman in which she writes that women are not naturally inferior to men, but may be made to seem so only because they lack education. She suggested that both women and women should be treated equally as rational beings and imagines a society where such an idea is the foundation for moral order. She was ridiculed at the time for this idea. Nonetheless, with the emergence of feminism at the turn of the twentieth century, Wollstonecraft's criticism of conventional femininity and ideas about women's equality became incredibly important. Now, Wollstonecraft is considered as one of the founding feminist philosophers. Anne Radcliffe was an English author and a pioneer of the Gothic novel. Her technique of explaining supernatural elements of her novels has greatly influenced and inspired Gothic fiction to achieve popularity and respectability in the 1790s. Radcliffe is praised for her ability to write scenes of terror and suspense with an aura of sensibility and romanticism. She was applauded by many writers such as Lord Byron and Sir Walter Scott, which was rare at the time (a woman writer being praised by male writers, that is). She influenced, was parodied, and was emulated by writers such as Jane Austen, Robert Luis Stevenson, and William Makepeace Thackeray. 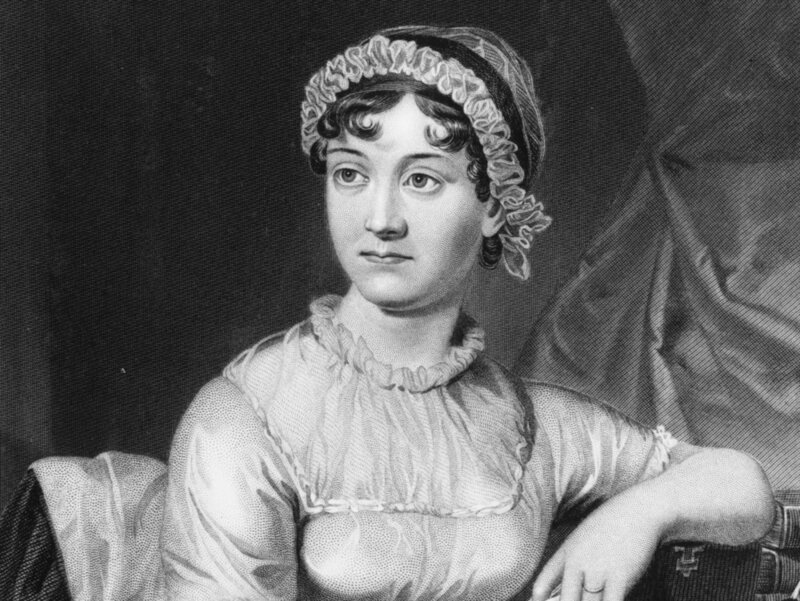 Jane Austen was an English novelist. If you don’t know her or haven’t read her work by now, I don’t know why you’re still reading this. Pick up Pride & Prejudice and get started! Now! Austen critiqued and commented upon the British society and class distinctions at the end of the 18th century. Her plots often look the dependence of women on marriage and it’s importance in a woman’s economic security and favorable social standing. Austen's books were published anonymously at first, like those of many women writers of her time. Being a full-time writer for a woman was considered a degradation of her femininity and social status. Jane Austen’s work has rarely been out of print and she is considered as one of the greatest writers of all time. Mary Wollstonecraft Shelley was an English writer who wrote Frankenstein. She was the daughter of Mary Wollstonecraft, so there’s definitely genius that runs in that family. Although there were other science fiction novels written before Frankenstein, Mary Shelley’s work is considered the starting point of science fiction as we know it today. * Frankenstein was the first speculative novel of its kind: it looked into the possible future of modern science and what it meant for the development of humanity (think Black Mirror). *There are arguments about who wrote the first “science fiction novel” because many are offended that such male-dominated genre was essentially kicked off by a teenage girl’s mind. If you look back before Frankenstein, the very first more or less science fiction novel ever written was The Blazing World by Margaret Cavendish. And if you want to look back even more, the first novel ever written was The Tale of Genji which was published around 1008 by Murasaki Shikibu...who was a woman. Yeah. Emily Brontë was an English novelist known for her only novel Wuthering Heights, one of the greatest classics of English literature. Wuthering Heights's vivid passion and violence made many early readers believe that it was written by a man (it was published under the name Ellis Bell). Emily Brontë never knew the extent of fame she achieved with her only novel, as she died a year after its publication, aged 30. Charlotte Brontë was an English novelist. She was the eldest of the three Brontë sisters who lived into adulthood. She is known for her novel Jane Eyre, whose innovative style, combining gothic melodrama with naturalism, was groundbreaking with its intense first-person female perspective. The novel’s success was immediate. 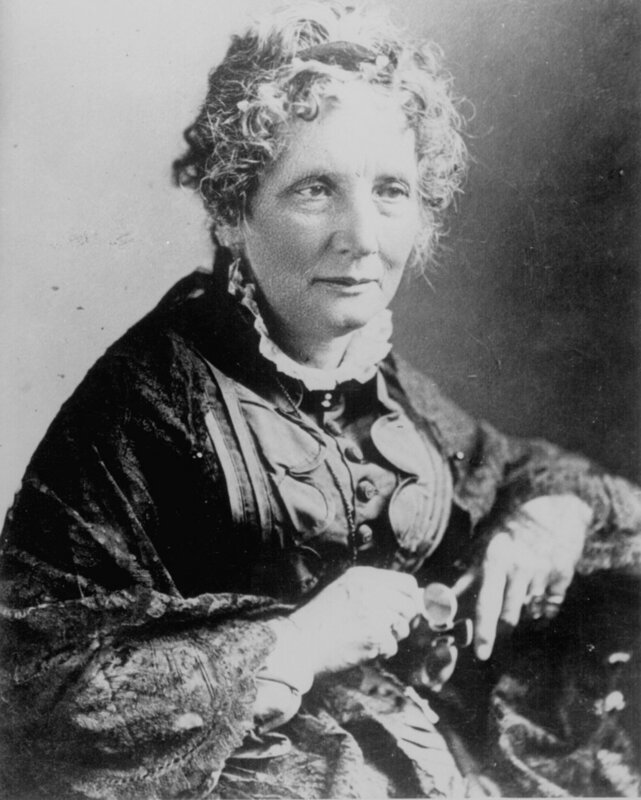 Harriet Beecher Stowe was an American author and abolitionist best known for her novel Uncle Tom's Cabin which portrays the harsh conditions of enslaved African Americans. The book became influential in the United States and Great Britain and triggered anti-slavery forces in the North of the United States and provoked widespread anger and opposition in the South (what else is new?). The goal of the book was to educate northerners on the horrors of what was happening in the south and to make the south more empathetic towards those who they used for slave labor. Elizabeth Gaskell was an English writer. Her novels demonstrated a detailed portrait of Victorian society, including the very poor. In her novel Mary Barton, which was first published anonymously, Gaskell provoked widespread discussions about the appalling state of impoverished workers. Gaskell’s writing attracted Charles Dickens with her social realism and gifted storytelling, leading him to refer to her as his ‘dear Scheherazade’. 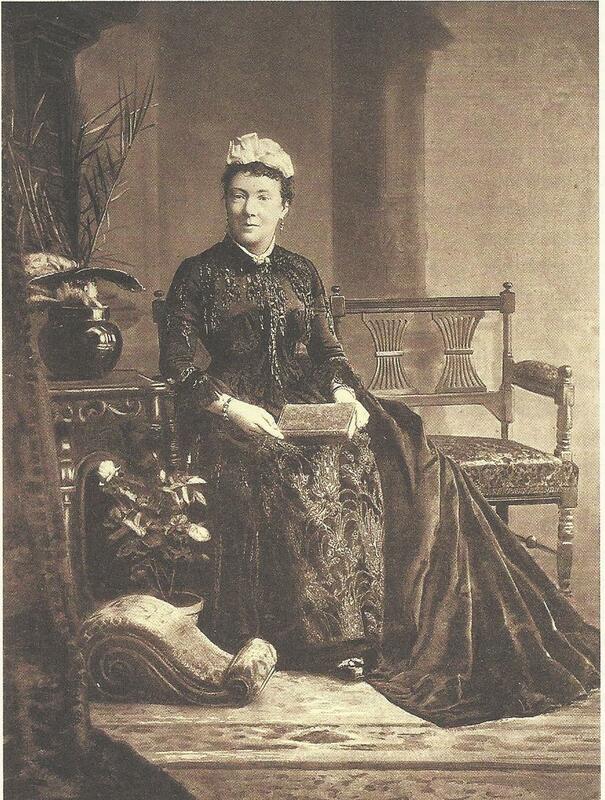 Gaskell was progressive and unafraid in her critiques of Victorian attitudes towards poverty and women. Mary Anne Evans (known by her pen name George Eliot) was an English novelist and one of the leading writers of the Victorian era. She used a male pen name, like many women writers of the time, to make sure her work would be taken seriously. Even though some women began to publish under their own names, she preferred to remain “anonymous” as to escape the prevalent stereotype that any work of a woman can be classified under a lighthearted romance. She is known mostly for her novel Middlemarch which is celebrated for its realism and psychological insights and is widely considered the greatest novel in the English language.